On 22 March 1899 Edward Turner and Frederick Marshall Lee patented a three-colour motion picture system. Although preceded by patents for colour cinematography by H. Isensee of Germany in 1897, and in 1898 Britain by William Friese Greene and in the same year by W.N.L. Davidson, the Lee and Turner system was the first patented system to lead to a working model, and as such was the world’s first motion picture system for producing natural colours. The Lee and Turner system worked on the additive principle, and was complex, employing a rotating wheel with red, green and blue sectors positioned on a camera, and a three-lens projector with similar rotating filter wheel. The principle of using a combination of the three primary colours was inspired firstly by the work of physicist James Clerk Maxwell, who demonstrated the practical possibility of colour photography in 1861, but more directly by the American inventor Frederic Ives. Ives’ Kromskop camera and viewer produced a still photographic colour image from three separate records in red, green and blue. 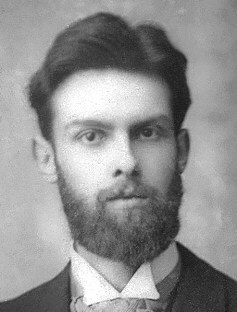 Turner, a photographer and chemist of several years' experience, who had previously worked with colour still photographer E. Sanger-Shepherd, worked on the Kromskop for Ives in 1898 at his London business while at the same time developing his colour motion picture system with financing from racing owner Frederick Marshall Lee of Walton-on-Thames. Lee and Turner were unable to turn their system into a practical reality without further financial support, and they turned in 1901 to the Warwick Trading Company, where Charles Urban showed great interest. After six months of tests showed no practical results, Urban took on the financing of the development work himself, as both Warwick and Lee lost heart. 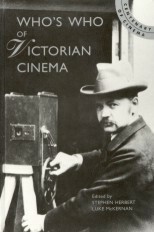 A projector was built by Alfred Darling in October 1901, the camera employing 38 mm film. In practice, however, the Lee and Turner system was a failure. It required a projection speed of forty-eight frames per second, combined with precise registration of three separate images from lenses positioned in parallel. The result was an unwatchable blur. Turner died of a heart attack at his workshop on 9 March 1903, and Urban passed on the development work to his associate G.A. Smith. Smith persisted with the three-colour notion for a couple of years, before having the inspiration to drop the colour blue, upon discovering that a credible colour record colour be generated from red and green alone. This system, patented in 1906, became Kinemacolor, the world’s first successful motion picture system in natural colours.